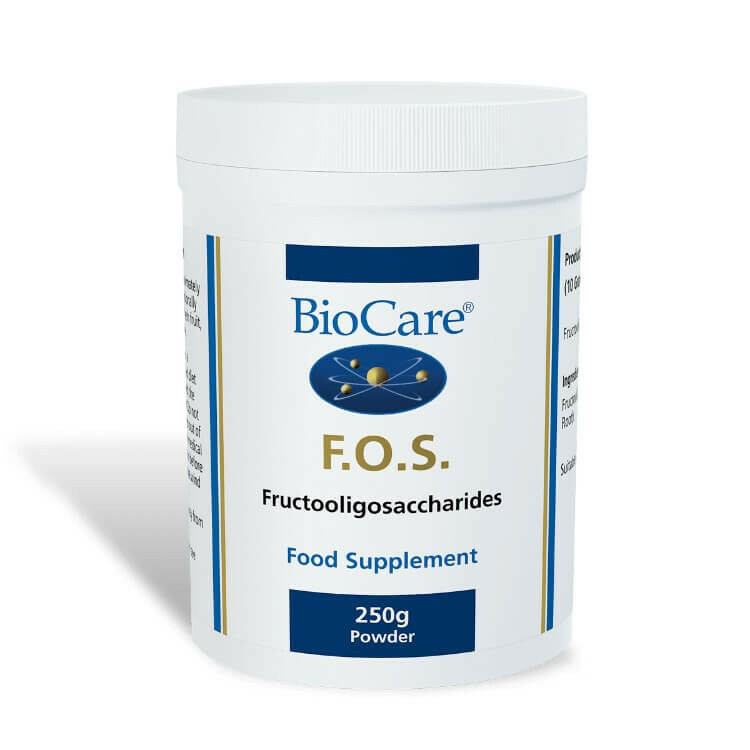 Fructooligosaccharides (F.O.S.) 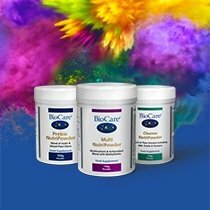 is a natural fibre found in raw fruits and vegetables. 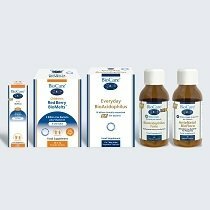 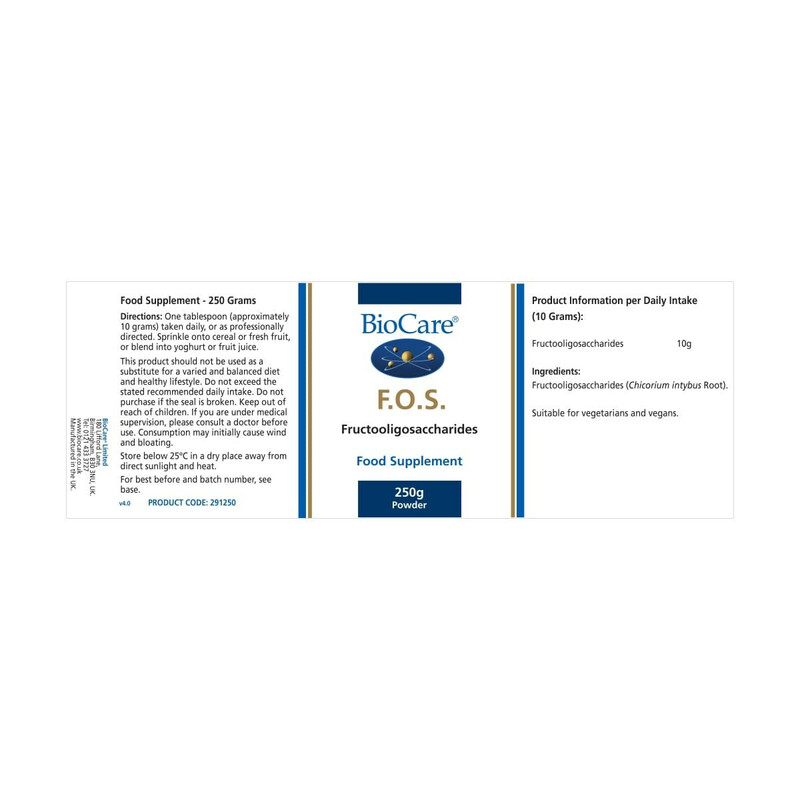 BioCare® F.O.S. 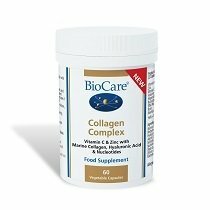 powder is derived from chicory and can be sprinkled on to food or mixed with drinks.